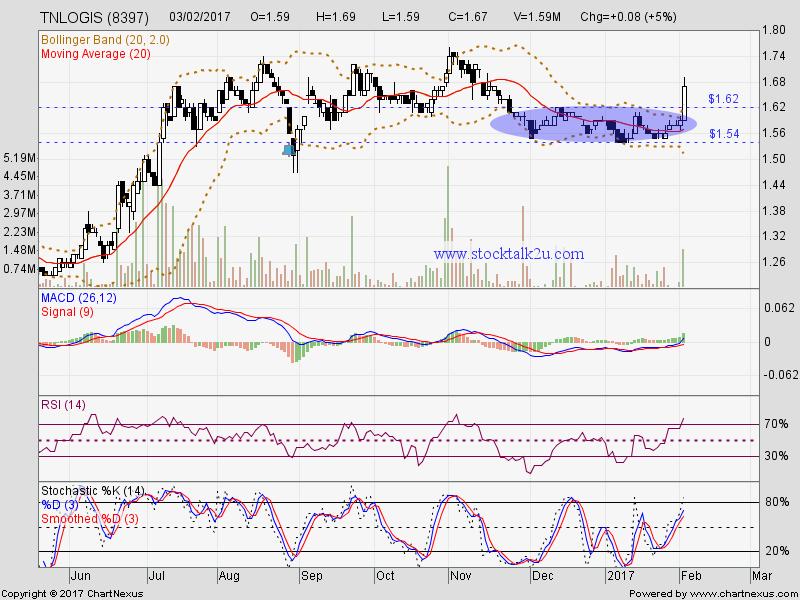 TNLOGIS (8397) succeed breakout bolinger band squeeze resistance. Immediate resistance @ RM1.72 level. Subsequent resistance @ RM1.75 level. 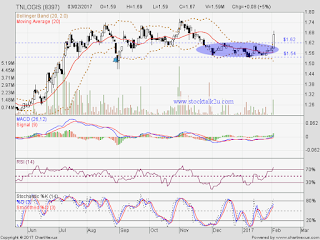 Immediate support @ RM1.62 level. Subsequent support @ RM1.54 level.